Twistor theory is one of the jewels of mathematics in the 20th Century. A starting point of the celebrated “Penrose twistor programme” is that there is a rich interplay between the conformal geometry on even-dimensional spheres and the holomorphic on their twistor spaces. Here we follow  and explain how the relations between the geometry of a manifold and the geometry of its twistor space, can be carried forward to dynamics. 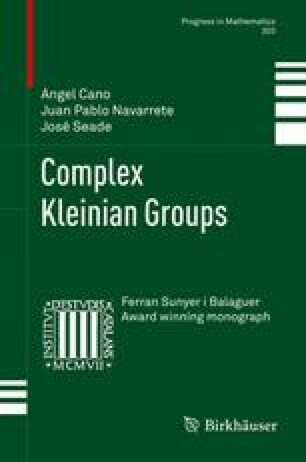 In this way we get that the dynamics of conformal Kleinian groups embeds in the dynamics of complex Kleinian groups.